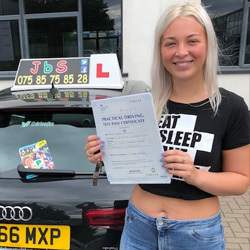 ● L-driver tuition, pass plus, intensive/semi-intensive, motorway, refresher, advanced & overseas license conversion courses. ● Theory test & hazard perception preparation*. 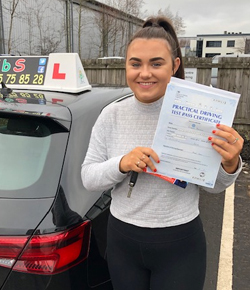 ● CONSISTENTLY high 1st attempt pass rates, we cover the Renfrewshire area & PAISLEY driving test centre. ● We are fully qualified & approved by the driving standards agency and institute of advanced motorists. ● We can offer DISCOUNTS for block bookings & starter gift voucher packages*. 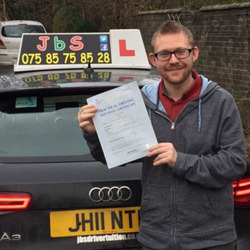 ● We are an independent driving school based in Houston, Renfrewshire. Please get in touch to discuss availability. 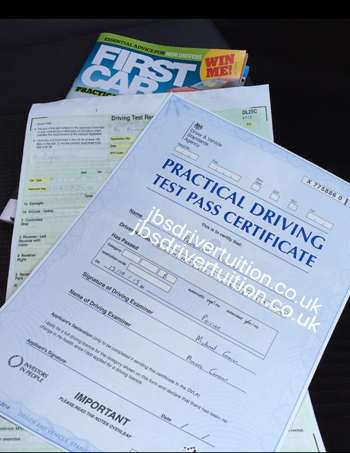 See who's passed with JBS Driver Tuition by visiting our Facebook & Twitter pages. HOUSTON, bridge of weir, kilmacolm, lochwinnoch, johnstone, linwood, kilbarchan, paisley & most Renfrewshire postal code areas! 'PASS FAST' with.... JbS !! *Subject to purchase of recommended theory materials/discount info available on request. Car off the road due to accident or Repair, do not despair. We can help if you Work in Paisley and surrounding areas! Continue with your day as planned with our fully dual controlled tuition vehicle. CONTACT us for details, t&c's apply. Siobhan Donnelly (Linwood) Passed Driving Test at the First Attempt on 11th January 19. 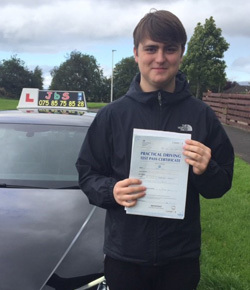 Adam Gray (Linwood/ Renfrewshire) Passed At the first attempt on 6/9/17. We will endeavour to reply to all correspondence within 24 hours.